According to human capital theory, education is not a product of final consumption, but a means of producing added value, an important factor in national and global macroeconomic growth. The topic of converting human capital into relevant material indicators described in economical terms is yet to be sufficiently developed; thus, it is necessary to identify key factors that influence the educational activity of working citizens and to establish the role of the Adult Education and Vocational Education and Trainings (AE&VET) in the macroeconomic development of regions. Using statistical analysis the authors established a correlation between the supplementary education’s rate and the volume of fixed capital investment per capita in the Russian Federation regions, which indicated the importance of investments in education and personnel training: in the regions with growing volume of investments, the amount of grown population who continue education in order to implement their knowledge at new enterprises is also increasing. This, in turn, boosts the investment appeal of the territory. The authors confirmed the hypothesis that investments in educational programs lead to the increase in labour productivity; this phenomenon has a positive impact on the growth rates of both wages and gross regional product. Thus, it was concluded that socio-economic differentiation of subjects of the Russian Federation is directly related to the general indicators of the regional AE&VET systems. Effective development of AE&VET requires active participation of all stakeholders (workers, employers, investors, regional authorities, and the government). 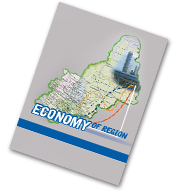 The main provisions and conclusions of the article can be used for development of the regional AE&VET- systems for ensuring the economic growth as well as the investment appeal of the territory.